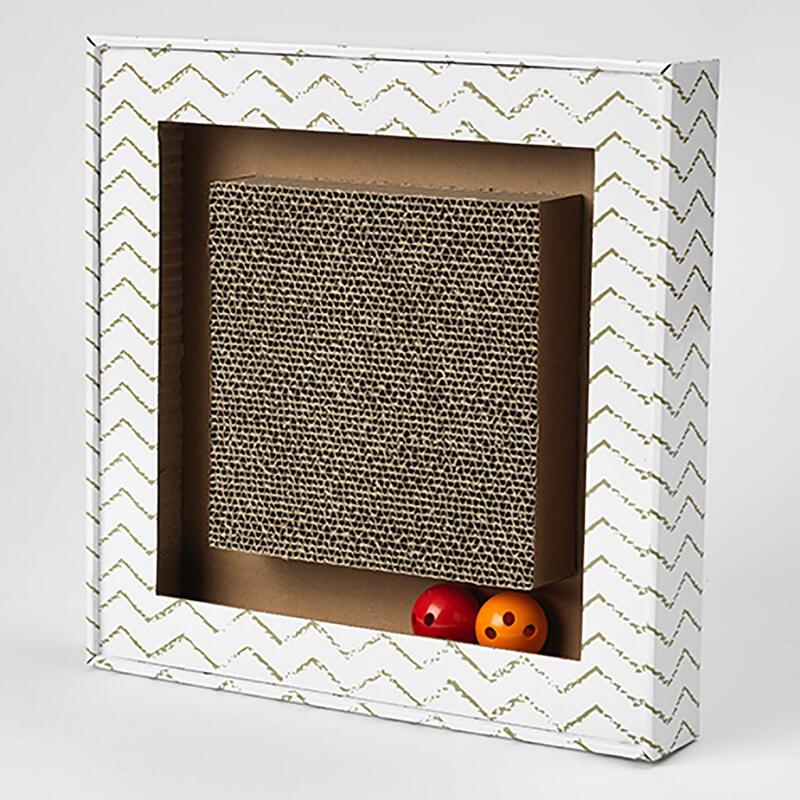 Cats will have a whirl of scratching playtime with the Sylvester's Interactive Cat Scratcher Square Chevron White and Gray! Scratch up some fun with the Sylvester's Interactive Cat Scratcher. It features a chevron design on the side and two jingle balls inside for endless fun! 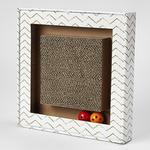 Cats will love the interactive jingle ball. Made of cardboard. Includes one pack of catnip.